There can be few more intriguing commentators on film than Slavoj Žižek, whose intellect and Werner Herzog-esque narration can draw in any audience - despite the lofty ideals he discusses. Following 2006's 'The Pervert's Guide To Cinema', Žižek returns to the "perverted art of cinema" to explore the sense of ideology through films ranging from 'The Dark Knight' to 'Taxi Driver', in a humorous yet academic manner. 'The Pervert's Guide To Cinema' sought to explain the idea of cinema as a form to teach viewers how to desire, contrasting its typical perception as an object of desire. Here, Žižek again teams with director Sophie Fiennes to "examine the collective fantasies that shape our beliefs and practices", looking at ideas of enjoyment and pleasure. Popular cinema is used to analyse this ideology, often (and quite hilariously) placing Žižek in recreating film settings. This technique was used to great effect in 'The Pervert's Guide To Cinema' and unsurprisingly is brought back to delight new audiences. We find Žižek in various locations and sets featuring in the likes of 'The Sound Of Music' and 'A Clockwork Orange', putting viewers at ease amid his largely academic analysis of ideology. Žižek continues his rapport with the viewer, through various pop culture references (Kinder Surprise, Starbucks, and so on) as well as more expected references to philosophers like Plato. Music plays an important role in this documentary, from Beethoven's critique of ideology by way of his seminal 'Symphony No. 9' to deconstructing the sense of Nazi iconography in German metal band Rammstein. Žižek also connects real life events to his exploration of ideology, such as 9/11 and perhaps most surprisingly last year's striking London riots. 'The Pervert's Guide To Ideology' is certainly a thought-provoking documentary, led adeptly by a man with great screen presence. Unfortunately, his discussion of ideology becomes increasingly overwhelming over is 133 minutes running time, despite the oft humourous approach. Perhaps 'The Pervert's Guide To Ideology' may have been better suited to the small screen, in a more episodic fashion. 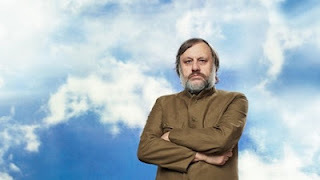 'The Pervert's Guide To Ideology' screened at the 56th BFI London Festival.